Mortally wounded in battle when he was only thirty-one, the dashing J. E. B. Stuart, the South's "plumed warrior knight," stands with Stonewall Jackson as one of the Confederacy's most revered martyrs. Union General John Sedgwick called him "the greatest cavalryman ever foaled in America." 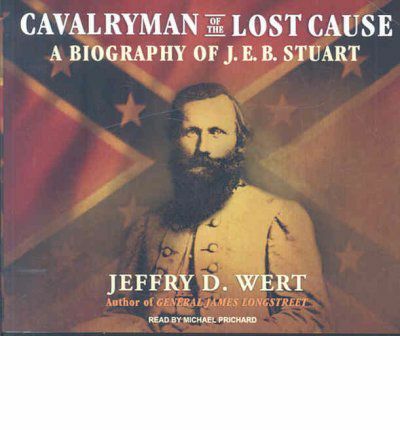 Jeffry D. Wert, however, offers a more balanced assessment in this comprehensive biography.Wert's narrative portrait of Stuart-audacious and daring in battle, contentious with his staff and subordinates-is fast-paced and compelling, rich in telling details and human interest stories, yet objective, critical, and complete. Based on the most extensive research yet done utilizing governmental and archival sources, Wert's biography examines Stuart's controversial performance at Gettysburg and elsewhere. About the Author: Narrator Michael Prichard is a Los Angeles-based actor who has recorded more than 350 audiobooks including novels by Clive Cussler and Tom Glancy. He recently was named one of Smart Money's Top Ten Golden Voices.